Reebok is having a limited-time Mid-Season Sale and offering 30% off full-priced items (including Nano 8 Black & White Gum) with coupon code MIDSEASON. Plus, save up to 60% off over 1,350 Sale Items including apparel, shoes and accessories for the family. Discounted prices are shown. Shipping is $5 or get free shipping on orders of $49 or more. Reebok is having a Sale on Sale with up to 50% off over 1,200 items for the family, plus take an extra 40% off with coupon code NEWYOU. Save on footwear, apparel and accessories. Shipping is $5 or get free shipping on orders of $49 or more. Sale ends Jan. 14th. Reebok is having a Sale on Sale with up to 68% off over 500 items for the family, plus take an extra 40% off with coupon code SAVE40. Save on footwear, apparel and accessories. Shipping is $5 or get free shipping on orders of $49 or more. Sale ends Tuesday. Limited time offer! Reebok has up to 50% off over 400 Sale Styles for the family, plus take an extra 40% off with coupon code FAM. Save on footwear, apparel and accessories. Shipping is $5 or get free shipping on orders of $49 or more. Reebok is having a Core Shoes Sale for Men & Women and offering buy one pair & get one pair free with coupon code BOGOCORE. Shipping is $5 or get free shipping on orders of $49 or more. Offer ends Tuesday night. Reebok is having a Mid-Season Sale and offering an extra 50% off select sale styles for the family with coupon code FALLBACK. Save on footwear, apparel and accessories. Shipping is $5 or get free shipping on orders of $49 or more. Sale ends Sept. 30th. For a limited time only, Reebok is offering an extra 40% off over 130 Sale Styles for the Family with coupon code AFF40. Save on footwear, apparel and accessories. Shipping is $5 or get free shipping on orders of $49 or more. Reebok is having an Outlet Sale with up to 75% off hundreds of items for the family, plus, take an extra 20% off $50, 30% off $100 or 40% off an order of $150 or more with coupon code SAVE. Shipping is $5 or get free shipping on orders of $49 or more. Sale ends Thursday night. Reebok.com is having a Labor Day Sale and offering an extra 20% off 2 items, 30% off 3 or $40% off 4 or more items with coupon code GETMORE. Shipping is $5 or get free shipping on orders of $49 or more. Sale ends Monday night. Today only, Reebok.com is having an Outlet Sale with up to 60% off hundreds of shoes and apparel items for the family, plus, take an extra 40% off with coupon code 40off. Shipping is $5 or get free shipping on orders of $49 or more. Today only, Reebok.com is offering an extra 30% off Sitewide with coupon code SAVENOW30 at checkout. Some exclusions may apply. Get free shipping on orders of $49 or more. Reebok.com is having a huge Friends & Family Sale with up to 60% off footwear, apparel and accessories for the family, plus, take an extra 50% off with coupon code FAM50. Shipping is $5 or get free shipping on orders of $49 or more, or by signing up for a free account on their site. Sale ends Tuesday. Reebok.com is having a Kids' Shoes Sale and offering a nice selection of styles buy one pair and get the second pair free when you apply coupon code SCHOOL. Shipping is $5 or get free shipping on orders of $49 or more. Sale ends Thursday night. Reebok.com is offering an extra 30% off select Men's & Women's Back To School Styles with coupon code BTS18. Shipping is $5 or get free shipping on orders of $49 or more. Sale ends Sunday night. Ending today, Reebok.com is having a Black Friday in July Sale and offering an extra 30% off over 170 already reduced items for the family with coupon code BF30. Also, free shipping is included with this deal. Reebok.com is having a 4th of July Sale and offering an extra 25% off over 900 items for the family with coupon code JULY4. Shipping is $5 or get free shipping on orders of $49 or more. Sale ends Wednesday night. Reebok.com is having an End of Season Sale with up to 60% off hundreds of outlet items, plus, take an extra 40% off with coupon code EXTRA40. Shipping is $5 or get free shipping on orders of $49 or more. Sale ends July 7th. Reebok.com is having a 2-Day Only Sale and offering select men's & women's walking shoes for $29.99 with coupon code WALK29. You will also get free shipping on these items. Sale ends Wednesday night. Reebok.com is having a Father's Day Sale and offering an extra 30% off a selection of men's apparel & footwear with coupon code DAD. Free expedited shipping is also included with these deals. Sale ends Tuesday night. Reebok.com has started their Friends & Family Outlet Sale with up to 60% off footwear, apparel and accessories for the family, plus, take an extra 40% off with coupon code FRIEND. Shipping is $5 or get free shipping on orders of $49 or more. Sale ends Sunday night. Reebok.com is having a 2-Day Sale and offering select styles of Footwear for Men & Women for $29.99 with coupon code DEAL29. And, you will get free shipping on these items. Sale ends Wednesday night. Reebok.com is having a Celebrate Mom Sale and offering an extra 25% off over 1,700 items for the family with coupon code MOM. Shipping is $5 or get free shipping on orders of $49 or more. Sale ends Sunday night. Regularly up to $75 per pair, Reebok.com is having a Walking Footwear Sale and offering many styles for men and women for $29.99 per pair. Free shipping is also included with this deal. Deal ends Wednesday night. 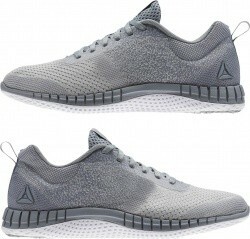 Reebok.com offers a nice selection of their Reebok Yourflex Men's and Women's Training Shoes for $29.99 with coupon code FLEX. 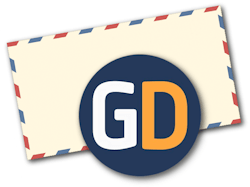 Plus, account holders get free shipping, it's free to sign up on their site. Deal ends Saturday night. Today only, Reebok.com is offering their Reebok Men's Zigwild TR 2 Supportive Running Shoes in Black for $47.98 with coupon code FRIEND. Shipping is $5 or get free shipping on orders of $49 or more. Reebok.com is having a Friends & Family Outlet Sale with up to 60% off footwear, apparel and accessories for the family, plus, take an extra 40% off with coupon code FRIEND. Shipping is $5 or get free shipping on orders of $49 or more. Sale ends March 31st. Reebok.com is having an Outlet Sale with up to 60% off footwear, apparel and accessories for the family, plus, take an extra 40% off with coupon code FAM40. Shipping is $5 or get free shipping on orders of $49 or more. Deal ends Wednesday. Reebok.com offers a great selection of their Men's & Women's Running Shoes for $29.99 per pair when you apply coupon code GETMOVING at the checkout. Also, free shipping is included with this deal. 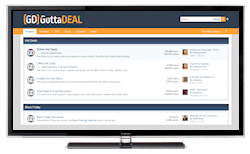 Deal ends Tuesday night. Reebok.com offers a selection of their Reebok Men's and Women's Training Shoes for $29.99 per pair when you apply coupon code TRAIN29 at the checkout. Also, free shipping is included with this deal. Deal ends Thursday night. Reebok.com is having a BOGO Outlet Sale and offering buy one outlet item and get one free when you apply coupon code LOVEYOURSELF. Get free shipping on orders of $49 or more, or create or sign into your Reebok account to receive free shipping - it's free to join on their site. Sale ends Wednesday night. 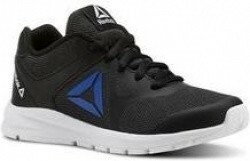 Today only, Reebok.com offers a nice selection of Men's & Women's Work N Cushion Shoes for $29.99 when you apply coupon code COMFORT at the checkout. Also, free shipping is included with this deal. Reebok.com has a nice selection of Reebok Men's and Women's Classics Shoes for $29.99, or, add two pairs to your cart for $54.99 when you apply coupon code CLASSIC at the checkout. Also, free shipping is included with this deal. Deal ends Saturday night. Regularly $164.99 to $199.99, Reebok.com has the Reebok Men's InstaPump Fury Shoes in your choice of several styles for $39.99 when you apply coupon code INSTA at the checkout. Free shipping is also included with this deal. Offer ends Friday. Through Wednesday night, Reebok.com is offering buy 1 select pair of Kids' Shoes and get 1 pair of equal or lesser value for free with coupon code NEWKICKS. Plus, account holders get free shipping, it's free to sign up on their site. Originally up to $85 per pair, Reebok.com offers a selection of Men's & Women's Running Shoes for $29.99 when you apply coupon code SALE29 at the checkout. Also, free shipping is included with this deal. Deal ends Friday night. Today only, Reebok.com offers select Men's & Women's Walking Shoes for $29.99 when you apply coupon code REEBOK29 at the checkout. Also, free shipping is included with this deal. Reebok.com is having a Men's and Women's Running Shoes Sale with select styles for $34.99 with free shipping when you apply coupon code TRAIN2018. Sale ends Saturday night. 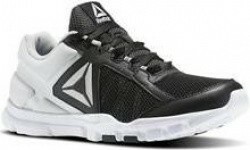 Regularly up to $110 per pair, Reebok.com offers their Men's and Women's Print Running Shoes in your choice of many styles and colors for $34.99 with coupon code RUNFAST. Also, free shipping is included on orders of $49 or more. Offer ends Friday night. As part of their 12-Days of Fit-Mas Sale, today, Reebok.com is offering an extra 30% off over 900 already reduced Sale Items with coupon code SAVE30. Also, free shipping is included on orders of $49 or more. Offer ends Saturday night. Reebok.com offers their Reebok Men's Ridgerider Trail 2.0 Walking Shoes in your choice of 4 colors for $29.99 with coupon code EARLYBIRD. Also, free shipping is included with this deal. Offer ends Nov. 10th.